Nathan Spruce charging the South Coast of NSW and more. Filmed by Ben Bettridge and Nathan Henshaw. French charger Jean-sébastien Geffroy (JSX) charging some meaty bombs in his second home, the Canary Islands. Lionel Medina going ham on the north coast of Gran Canaria during the last epic swell. Shoot and edit: Carlos Vela. Some INSANE action from the recent big swell to hit the north coast of Gran Canaria. Shoot and edit: Carlos Vela. 40 minutes of action from Chile, with Jordan Villalba, Sergio Oteiza, Moises Silva, Edgardo Avilez and Rodrigo Silva. 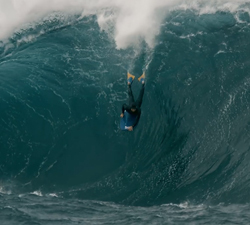 A blast from the past with “old school” bodyboarding movie FRESH. Filmed by Mark Ecott. Edited by Allan Brewster. Lewy Finnegan having fun doing what he loves in Portugal and the Canary Islands. 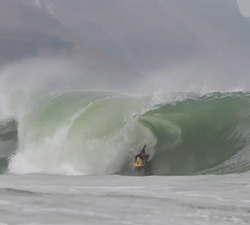 Footage: Manuel Barbosa and Pf Bodyboarding.